Karachi - Jan 22, 2019: : Procter and Gamble (P&G), the maker of world-renowned products such as Ariel, Pampers, Pantene, Head & Shoulders, Safeguard and Always, has invested in a state-of-the-art hair care manufacturing plant at Port Qasim, Karachi. The new manufacturing plant has begun operations and is producing renowned hair care brands Pantene and Head & Shoulders. P&G has reaffirmed its commitment to Pakistan by expanding its manufacturing footprint in the country. This milestone investment follows the success of P&G's existing manufacturing plants at Port Qasim and Hub which produce Ariel and Safeguard respectively - enabling over 60% of its business in Pakistan to be locally produced and allowing the Company to better serve its consumers. The Company's 58-acre land in Port Qasim is P&G's mega manufacturing facility site with opportunity for future investments and expansion. The Government of Pakistan has set a priority to take immediate steps to revive manufacturing and improve the investment environment, especially through an increase in the foreign direct investment (FDI). P&G's hair care manufacturing plant investment of over $50 million is a vote of confidence in the future of the country. It has also resulted in socio-economic benefits such as import substitution in tens of millions of dollars and creation of direct and indirect jobs. In line with the newly-elected Government of Pakistan's ambitious 'Job Creation Strategy' to create 10 million jobs across five years, along with a special focus on skill-building, P&G is also keen to play its part by creating direct and indirect employment opportunities. Over the years, P&G has recruited and developed local talent and contributed to their progress in line with the company's 'promote from within' culture. P&G's investments continue to yield socio-economic benefits in country through the creation of over 6000 direct and indirect employment opportunities and development of a local supplier base, resulting in hundreds of millions of dollars in local value addition. 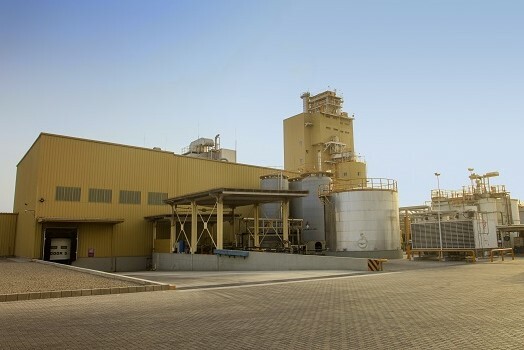 P&G plants in Pakistan are promoting 'Best in Class' sustainability practices contributing to the Company's long-term environmental sustainability vision. Both sites are zero waste to landfill and have delivered 57%, 59% and 62% reduction in water, CO2 and energy respectively, since 2010. Since its first shipment on August 5, 1991, P&G has grown to be amongst the top fast-moving consumer goods companies in the country making available to Pakistani consumers globally successful brands, which are amongst market leaders in their categories. P&G is focused on delighting consumers by delivering superior products at a superior value, with meaningful and noticeable superiority in all elements of its consumer proposition, from products and packaging to brand communication and retail execution.